MCM serves an extensive customer base from Asia, Australia, Europe,USA, and North America. With our 40 years of experiences, we have grown steadily since our beginnings in 1965. Our reputation has been built through our continuing commitment to quality product like metal parts, metal stampings, metal prototype service, customer service, employee development, and ethical trading. MCM employees source OEM/ODM products like sheet metal from around the world. We anticipate and meet market challenges to ensure that we build on our success, meet our clients' demands, and develop mutually beneficial relationships with our suppliers. 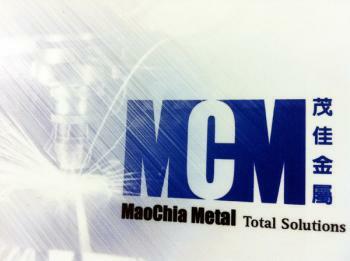 Both MCM Taiwan and China factories are well equipped and capable to provide service include metal parts design, metal prototype, metal stampings tool, tooling, molding, creation of checking & tooling fixtures, stamping parts (material include steel, aluminum, tin, pre-coating material and stainless steel), sheet metal and production & assembly.